About a year ago Hershey partnered with 3D Systems. Now they’ve finally revealed their first steps into the 3D printed food world. The confectioner has recently represented its 3D printed chocolate candy exhibition during the Hershey’s Chocolate World Attraction. Here all the visitors can communicate with the scientists and interact with the technology of chocolate printing. Visitors also were able to watch with their own eyes chocolate 3D printed and will also see the ready products. On iPads they had the opportunity to browse the whole collection of 3D printable models of the company. Another interesting opportunity for the visitors was getting themselves scanned and 3D printed as pieces of chocolate. 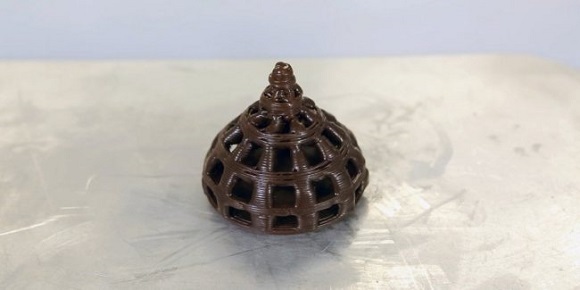 Will Papa, Chief Research and Development Officer of The Hershey Company, told about the new exhibition that these days they are using 3D printing technology to bring Hershey morality closer to the customers in an exciting and unforeseen manner. 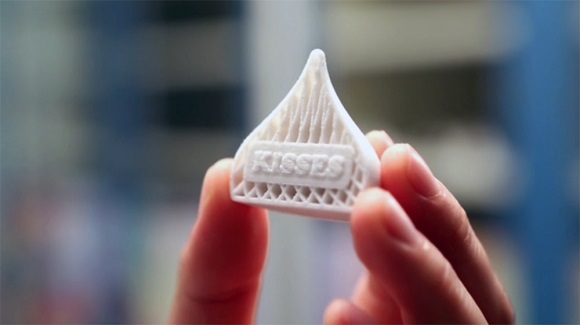 3D printing suggests customers a wide range of possibilities to have their personalized chocolate. 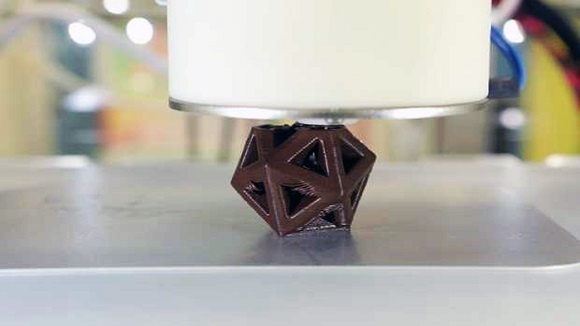 Such an exhibition is a unique chance to watch chocolate 3D print in real time. Chuck Hull, 3D Systems Founder and Chief Technology Officer added that their policy is to make 3D printing more democratized; they want to make the technology more engrossing and accessible for everyone. Hershey is one of the largest producers of top-quality chocolate in North America and a world-wide leader in confectionary. 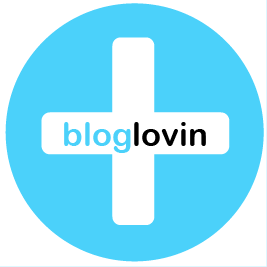 So this partnership allows them to create unequalled, stirring and customized eating experiences. And that’s a good way to represent the possibilities and power of 3D printing. This exhibition is only the beginning of the company’s intrusion into the world of 3D printing. As it is interactive, members of the company will also be watching the visitors and will try to understand their opinions of the products, their design and options for customization. And finally Papa mentioned that their exhibition is a wonderful example of the cooperative work with the consumers. It will be them who will shape the future of 3D chocolate printing.